Robert E. Howard Days: Welcome to the Robert E. Howard Days Blog! Howdy! Indy Bill Cavalier here. Thanks to the good graces and nimble fingers of Jeffery Shanks, we now have a blog dedicated to Robert E. Howard Days. We've cobbled together the information from the REHupa site into an easier navigation here, so click on the above tabs and find out what you need to know about Howard Days! While the info tabs will remain pretty static, we'll come up with some interesting (I hope!) stuff here on the home page, like some bios of folks connected with Howard Days, a bit of history and any announcements that need to be made. As Howard Days is The Best Two Days in Howard Fandom, we'll try to make this blog a fun place to come! But it can't take the place of the real deal! 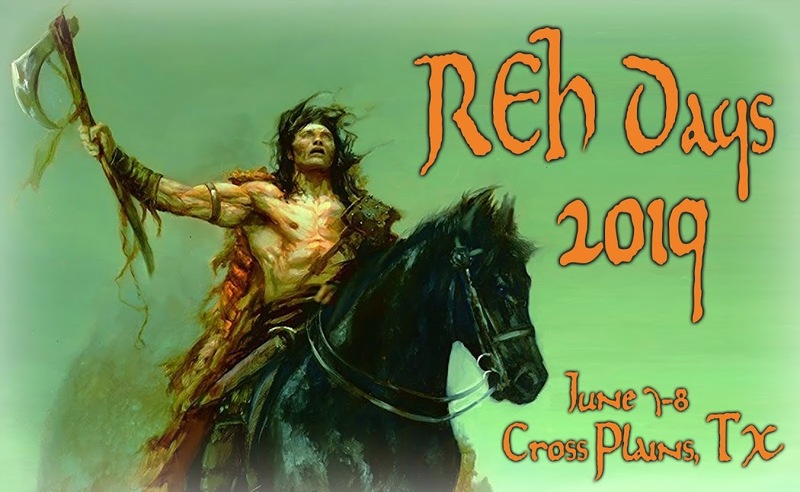 So make plans to join us in Cross Plains June 13 & 14 for Robert E. Howard Days!